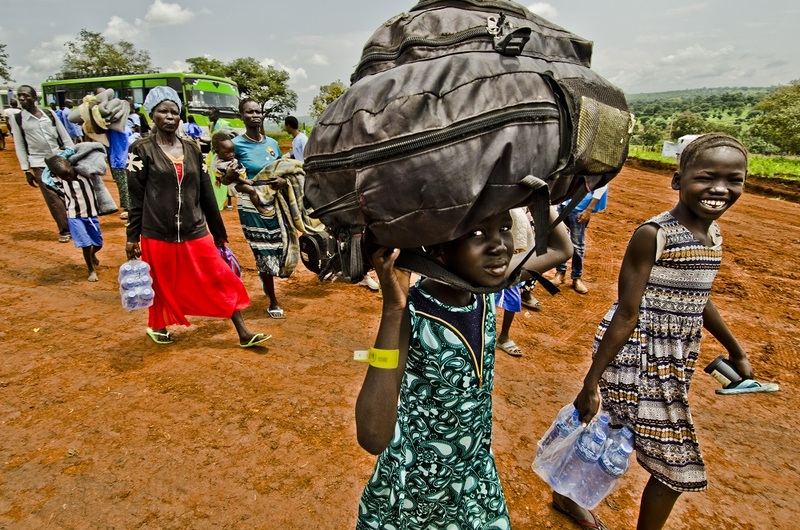 South Sudanese refugees arrive at Gure-Shembola Refugee Camp carrying their belongings and entering camp. Day three of three-day convoy of South Sudanese refugees from Pagak Reception Center, Gambella Region to Gure-Shembola in Assosa Region. Movement of people in response to the adverse effects of climate change, disasters triggered by natural hazards and other environmental factors are a reality, as recognized by the New York Declaration for Refugees and Migrants (para. 1). The Declaration also recognizes the complex challenges presented by forced displacement and irregular migration in large movements (para. 4) which may occur in such contexts. Human mobility takes different forms, ranging from (predominantly) voluntary migration to (predominantly) forced displacement. During 2008 – 2016, on average more than 25 million people were displaced each year in the context of sudden-onset and extreme weather events and geophysical disasters such as earthquakes (IDMC, 2017). Women and children, as well as people with disabilities, older persons and members of indigenous peoples are often disproportionally affected by disasters. 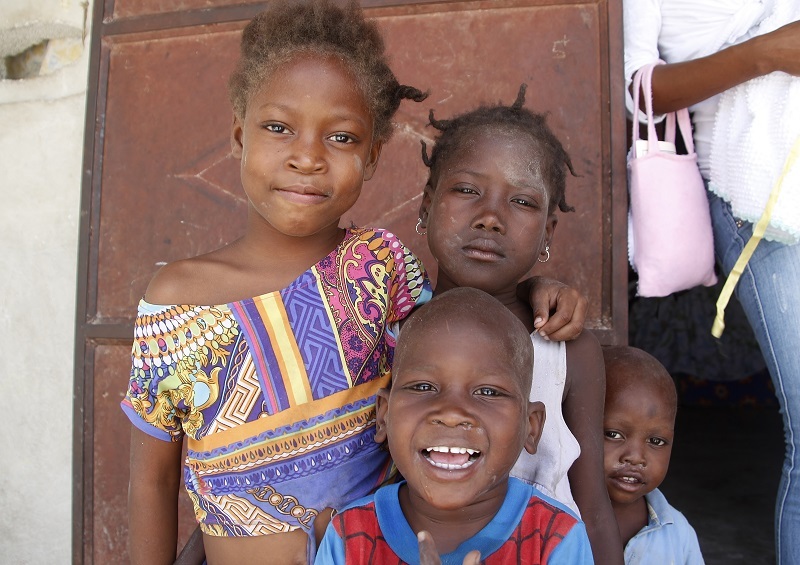 The large majority remain within their own country as internally displaced persons. Some cross international borders to find protection and assistance abroad – usually in neighboring countries or within their region. Others decide to migrate to cope with the impacts of sudden-onset natural hazards or to adapt to slow-onset environmental degradation caused, in particular, by global warming. Still others are moving out of harm’s way to safer places within the framework of planned relocation processes. While the Intergovernmental Panel on Climate Change (IPCC) expects displacement to increase in the coming decades due to the higher frequency and strength of extreme weather events and other climate change effects, its 2014 “Summary for Policymakers” highlights that expanding opportunities for migration can reduce vulnerability for populations living in climate change hotspots, and warns that people too poor to move face a higher risk of being displaced than those with means to migrate internally or abroad in anticipation of such events. The New York Declaration highlights the determination of UN Member States to address drivers of large movements of people, in particular those relating to the movement of the most vulnerable populations including women at risk and children, (paras. 12, 23 and 43), and commits to “combating environmental degradation and ensuring effective responses to natural disasters and the adverse impacts of climate change” (para. 43), assisting “migrants in countries that are experiencing […] natural disasters” (para. 50), as well as providing effective protection for the human rights and “specific needs of migrants in vulnerable situations” (para. 8), a category that certainly includes those moving or forced to move in the context of disasters and climate change. Furthermore, the Declaration acknowledges that internally displaced persons “might seek protection and assistance in other countries as refugees or migrants” (para. 20). It also welcomes “the willingness of some States to provide temporary protection against return to migrants who do not qualify for refugee status and who are unable to return home owing to conditions in their countries” (para. 53). In addition to the New York Declaration, the challenge of adequately responding to human mobility in the context of disasters and the adverse effects of climate change is widely recognized by the international community. In particular, the Sendai Framework on Disaster Risk Reduction 2015–2030 calls, inter alia, for the promotion of transboundary cooperation to reduce displacement risk (para. 28) and encourages “the adoption of policies and programmes addressing disaster-induced human mobility to strengthen the resilience of affected people and that of host communities” (para. 30). Based on the UN Framework Convention on Climate Change (UNFCCC), the 2010 Cancun Adaptation Framework calls for “[m]easures to enhance understanding, coordination and cooperation with regard to climate changed induced displacement, migration and planned relocation”; and the Conference of the Parties (COP21) in Paris decided to set up a task force “to develop recommendations for integrated approaches to avert, minimize and address displacement related to the adverse impacts of climate change” (Decision 1/CP.21, para. 49). The 2015 Agenda for Humanity calls for a new approach to addressing and reducing displacement that includes measures improving displaced persons and their host communities resilience and self-reliance (para. 81 ff.). The 2030 Agenda for Sustainable Development explicitly refers to disaster related displacement as a factor undermining development (para. 14). 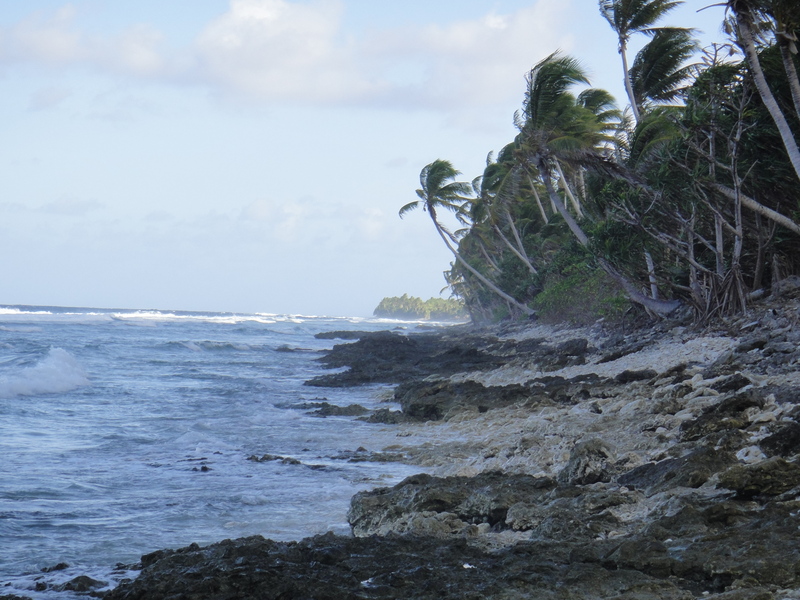 The Human Rights Council noted “the urgency of protecting and promoting human rights of migrants and persons displaced across international borders, in the context of the adverse impacts of climate change, including those from small island developing states and least developed countries” (Resolution A/HRC/35/20). The Global Compact on Migration (GCM) offers a unique opportunity to build on these and other global frameworks and instruments to address the challenges of human mobility in the context of disasters and the adverse effects of climate change and to synthesize their messages in a coherent and cross-cutting way. During the GCM’s second informal thematic session on addressing drivers of migration in May 2017, many delegations called for “the integration of migration in the implementation of international frameworks as well as in regional, national and local plans and strategies on disaster risk reduction, resilience, preparedness, mitigation and adaptation” Participants also called for giving “due regard to the gender dimension of drivers of migration“(Co-facilitator’s summary). Some delegations noted “that migration should be recognized as an adaptation strategy and thus mechanisms for temporary, circular or permanent migration should be promoted.” There were also calls for the increased use and harmonization of humanitarian visa, temporary protection measures or temporary work visa for people from affected countries and areas – practices that are already used by many countries, particularly in the Americas. Member States are encouraged to use their statements at the meeting in Mexico and other events to promote these key messages. 1. 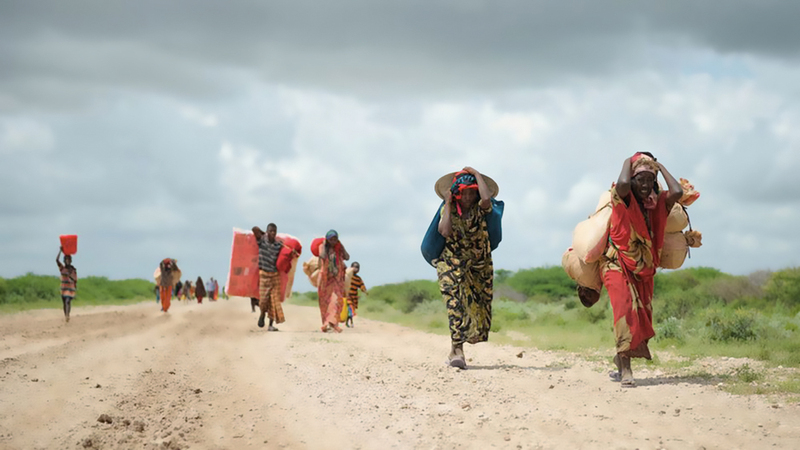 In order to reduce irregular migration and achieve safe, orderly and regular migration, it is essential that the GCM, while recognizing the need to mitigate and adapt to climate change and reduce disaster risks, addresses human mobility in the context of disasters and the adverse effects of climate change in its different forms. 2. Responding to the challenges posed by human mobility in the context of disasters and the adverse effects of climate change calls for the GCM to take an integrated approach that addresses the drivers as well as the consequences and impacts of such movements and highlights the different tools to avert, minimize and respond to them. – Envisage measures to expand regular migration pathways for people living in areas affected by extreme environmental degradation or particularly prone to serious sudden-onset disasters who are facing a real and serious risk of displacement when, in the long-term, migration is one of the only options available. Such measures could be taken at domestic level and/or through bilateral and regional or sub-regional agreements. – Envisage, where affected persons cannot find adequate assistance and protection in their own country, exercising State’s discretion in migration matters based on humanitarian considerations to admit disaster-affected foreigners using appropriate instruments provided for by their migration legislation, such as humanitarian visa or temporary protection measures, or ad hoc decisions, and to find, in cooperation with countries of origin, lasting solutions for such persons. 5. Furthermore, the GCM should recognize the particularly important role of regional and sub-regional organizations as well as Regional Consultative Processes on Migration (RCPs) for dialogue and cooperation between countries of origin, transit and destination in matters related to cross-border movements of persons affected by disasters and the adverse effects of climate change, as well as, where appropriate, harmonization of effective practices or elaboration of agreements and other normative frameworks and their particular role in ensuring that the needs of affected persons are addressed in an inclusive and gender responsive manner. Established in 2016, the Platform on Disaster Displacement (PDD) aims at following up on the work started by the Nansen Initiative and supporting States to implement the recommendations of the Protection Agenda, endorsed by more than 100 governmental delegations during a Global Consultation in October 2015.The PDD’s Strategic Priorities include to (i) address knowledge and data gaps, (ii) enhance the use of identified effective practices (iii) promote policy coherence and mainstreaming of human mobility challenges in and across relevant policy and action areas and (iv) promote policy and normative development in gap areas.The PDD Steering Group is comprised of the following States: Australia, Bangladesh (Vice-Chair), Brazil, Canada, Costa Rica, Fiji, France, Germany (Chair), Kenya, Madagascar, the Maldives, Mexico, Morocco, Norway, the Philippines, Senegal, Switzerland, and the European Union. The PDD Advisory Committee gathers experts of international and regional organizations, research institutions, academia, private sector, NGOs and other stakeholders from the fields of humanitarian assistance and protection, human rights, migration management, refugee protection, disaster risk reduction, climate change action and development. Advisory Committee Members include the International Organization for Migration (IOM), the Office of the United Nations High Commissioner for Refugees (UNHCR), the International Labour Organization (ILO), the Norwegian Refugee Council (NRC) and its Internal Displacement Monitoring Centre (IDMC), among many others. • New York Declaration for Refugees and Migrants. • Nansen Initiative Agenda for the Protection of Cross-Border Displaced Persons in the Context of Disasters and Climate Change, 2015. • “Addressing drivers of migration, including the adverse effects of climate change, natural disasters and human-made crises, through protection and assistance, sustainable development and poverty eradication, conflict prevention and resolution” 22-23 May 2017, United Nations Headquarters, New York. Co-facilitators’ summary. • A Guide to Effective Practices for RCM Member Countries: protection for persons moving across borders in the context of disasters. • Migrants and Migration Policy In the Context of the Adverse Effects of Climate Change and Environmental Degradation, Global Compact Thematic Paper, International Organization for Migration, 2017.